The government has consistently failed to promote competition during the roll-out of rural broadband across the UK, according to the PAC. The government has continued to fail at promoting competition during the roll-out of rural broadband across the UK, according to the influential Public Accounts Committee (PAC). 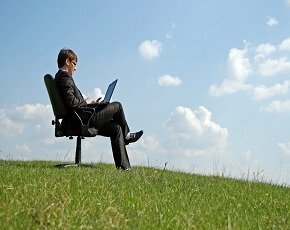 The Broadband Delivery UK (BDUK) programme was launched to help rural areas of the UK to get broadband by 2017. These are areas where commercial broadband infrastructure providers currently have no plans to invest. The PAC today published a follow-up report on the rural broadband programme. The committee received a response from the government to its previous report in September 2013, but it said the DCMS had “failed to engage constructively with our conclusions and recommendations”. The committee recalled the DCMS and BT to give further evidence in January 2014, and its conclusions were published today. Smaller, local broadband providers have faced difficulties over the BDUK roll-out because they are unable to access the detailed data needed to understand which geographical areas BT’s scheme will cover. “Other broadband providers might be squeezed out of the rural market by BT’s actions,” said Hodge. She also said BT’s monopoly position should have been a “red flag” for the DCMS. Also, the lack of transparency on cost resulting from the supplier’s non-disclosure agreements is “exploiting its monopoly position to the detriment of the taxpayer, local authorities and those seeking to access high-speed broadband in rural areas”, she said. Hodge said there was a lack of communication over the BDUK roll-outs: the PAC was told by Cumbria County Council that BT was not letting it release detailed roll-out information, but the DCMS thought the council was allowed to publish the data. The committee has called for the DCMS to work with local councils urgently to publish detailed mapping of implementation plans, including full postcode details. “The department should collect, analyse and publish data on deployment costs in the current programme, to inform its consideration of bids from suppliers under the next round of funding,” said Hodge. “And before that next round of funding is released, the department should work with local authorities to ensure there is real competition and value for money. DCMS said it strongly disagrees that its existing approach failed to deliver value for money or meaningful competition. “Contrary to what the Public Accounts Committee (PAC) would have the public believe, the government’s nationwide roll-out of superfast broadband represents tremendous value for money," said communications minister Ed Vaizey. Is it correct that it would be BT who is liable to repay state aid (not the Local Authorities or DCMS) if the BDUK contracts are ruled to be illegal?